Having stable temperatures in your home or business in Corinth means having a reliable HVAC system. Whether you’re in the market for a new HVAC system, need equipment replaced, or need repairs made, you can rest assured that Cote’s Mechanical will provide you with high-quality service. Our heating and cooling experts have several years of experience installing, repairing, and maintaining central air conditioning units, furnaces, heat pumps, and other kinds of HVAC equipment. With help from our team of seasoned HVAC experts, you’ll get the best A/C and heating services in Corinth for your business or home. 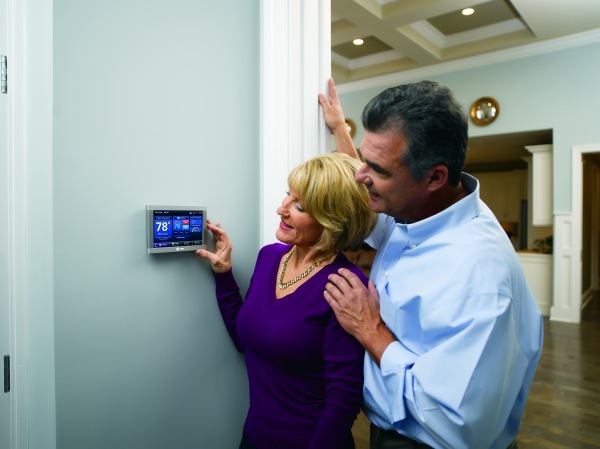 Our experts can help you pick out a more energy-efficiency heating and cooling system to save you money or handle sudden repairs that you weren’t expecting. We can also come by regularly to provide your HVAC system with maintenance, which can help it last longer and reduce the risk of problems. No matter whether you need repairs, installation, or maintenance, we’re here to help. Having a high-quality HVAC system that runs without any problems ensures that your home or business in Corinth won’t become too hot or cold during the year. When you need to have an old or worn out HVAC system replaced with one that offers better efficiency, Cote’s Mechanical can help. If you end up needing emergency repairs after hours, our technicians will be right over to fix your system. All of our technicians have the proper licensing, training, and experience needed to provide dependable A/C and heating systems installation and repair in Corinth. At Cote’s Mechanical, our team can also visit your home or business in Corinth every month or as often as you need for routine maintenance of your air conditioner or heater. This service can improve the lifespan of your equipment and reduce wear and tear. When you need heating and cooling equipment replaced, we also offer replacement services for residential and commercial customers in the Corinth area. Cote’s Mechanical has built a reputation in the Corinth area for providing customers with outstanding service that goes above and beyond. Cote and Kristi Wyatt, Cote’s Mechanical’s co-owners, began offering HVAC services in the area in 2001. For more than a decade, we’ve been dedicated to giving customers the best service possible. We’re proud to have received recognition for the service we provide. Angie’s List has given us a Super Service Award, while the Better Business Bureau has given us their highest rating of A+. We have also received recognition from the Air Conditioning Contractors of America (ACCA) in the form of accreditation, and HVAC manufacturer Trane has given us certification as a Trane Comfort Specialist. Our customers have also let others know about our service through online reviews. These reviews have praised our technicians for making timely repairs and being helpful and friendly. Corinth residents have an average income per household of $87,167, which is considerably higher than the state and national averages of around $55,000 per household. Residents who buy their homes in Corinth pay an average price of $191,500. While this is quite a bit higher than the Texas average price of around $142,000 per home, it’s only slightly more than the national average home price of around $184,000. Around 21,000 residents call Corinth home. This Texas city isn’t far from Denton, which is just a 10-minute drive away on I-35E N. Dallas is just 35 minutes away on I-35E S, while Fort Worth is about 45 minutes away via I-35W S.
Those who live in Corinth can spend time outdoors at Corinth Community Park, which features playscapes, ponds, trails and picnic tables. Residents can also go to Meadow Oaks Park for grilling, picnics and play areas, and join Oakmont Country Club for swimming, golf, tennis, and other amenities. If you’re hungry, Corinth has great places to grab a bite to eat, such as Don Camillo Italian Cuisine and Angelina’s Mexican Restaurant. Corinth residents who want to volunteer to help out the community can find opportunities available with the local Boards and Commissions. Some of these include Keep Corinth Beautiful, Citizen Finance Audit Committee, and the Board of Adjustments. Don’t let a broken furnace leave you in the cold or a busted air conditioning system force you to feel the heat. 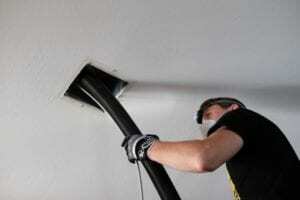 Contact Cote’s Mechanical whenever you need HVAC repair, replacement, or maintenance at your Corinth home or business. Good people I can depend upon. I appreciate the good service and that I trust Cote's to be honest. That is such a comfort! John did a great job and is a credit to the company. Bill did a great job, very friendly and knowledgeable. Great member of the Cotes Mechanical team! Outstanding efficient service and knowledgeable technician! Cote’s arrived within a few hours of my initial call for service. The technician diagnosed the problem quickly, recommended a solution including pricing, and resolved the issue promptly. The technician took time to educate me on my units as well. Excellent overall! Cote was great! On time and very honest. Very impressive! Personable, knowledgeable and efficient. Also very honest. Fair pricing. Cote is the owner and I would highly recommend him. Condenser had a bad capacitor. Replaced capacitor and system is cooling properly. Replaced capacitor and contactor on Trane AC unit.